Organic fair trade unrefined dehydrated cane juice – otherwise known as organic raw cane sugar is another main ingredient that adds sweetness. This ingredient as well as several others are purchased through Camino. 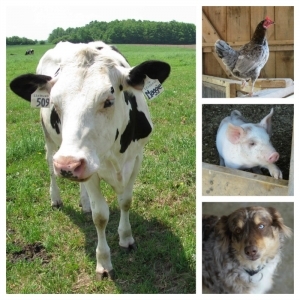 Certified organic free range eggs are also added and these come from our very own chickens. The eggs add additional creaminess to the ice cream. An organic stabilizing ingredient – organic locust bean gum is also added. This ingredient, along with our freezing techniques, helps ensure our products remain in good condition during delivery to our customers across Canada. 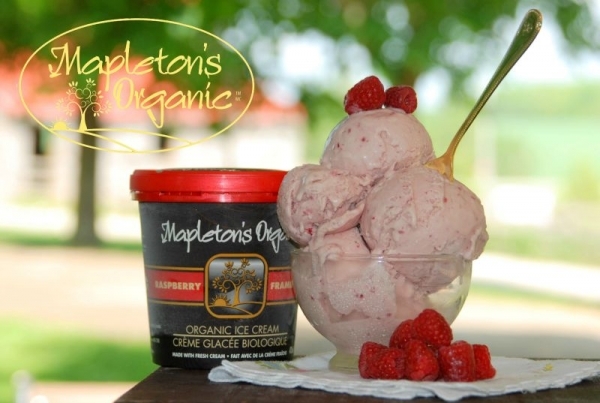 Flavour ingredients such as raspberry puree, vanilla, cocao, ginger and others are added later in the ice cream making process. Working with flavours can be challenging. For example, the flavours in fruits are often not as strong once they are frozen. One flavour experiment that didn't work out was mango ice cream. The flavour just wasn't as robust as we wanted. We also don't use artificial flavours or colours. 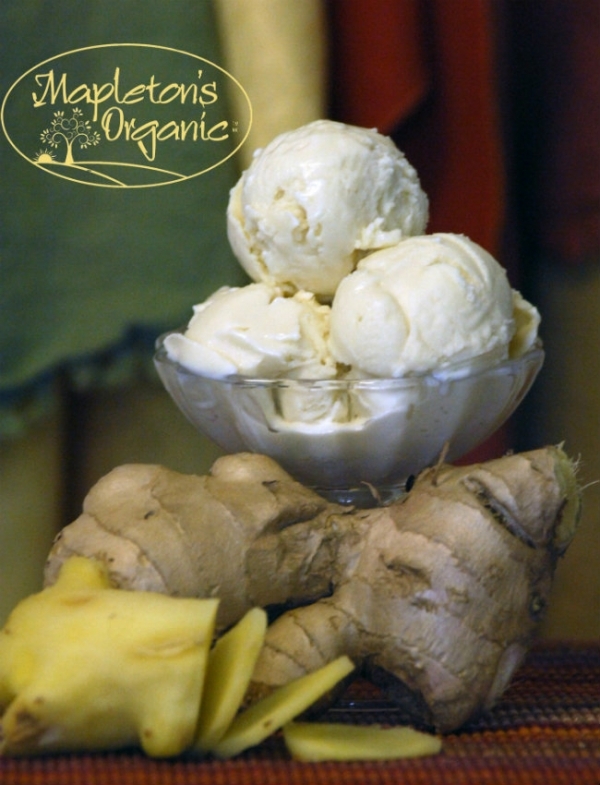 Vanilla is the most popular flavour, followed by cappuccino and ginger! Other popular flavours include chocolate, vanilla chocolate chip, raspberry, chai and mint chocolate chip which are all distributed across Canada. We also enjoy making smaller batches of speciality and seasonal flavours. Some of these, such as maple sugar and lavendar, are sold through the farm store and at events as available. Pumpkin, dandelion and candy cane are available not only at our farm store and events but also seasonally at retailers across Canada. This is the third blog post in our "Making Ice Cream" series. 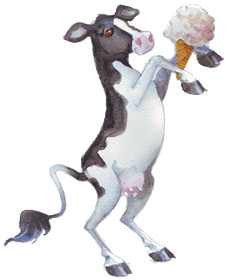 "Pasteurization, Homogenization, Flavours & Freezing"
You can also see a list of current ice creams by visiting here.